It’s fitting to begin this short series of tasting notes for wine made from the Norton grape with a few wines from a Missouri winery. Norton is the state grape of Missouri, and it was a Missouri Norton which found international acclaim at a wine show in Vienna, Austria in 1873. At that event it was named “the best red wine of all nations.” Read more about the Norton grape in my earlier post on the Now And Zin Wine Blog. The main location for Stone Hill Winery is in Hermann, Missouri, while two other locations operate in New Florence and Branson. Stone Hill was founded in 1847 and is listed on the National Historic Register. The main building for the Hermann winery - built in 1869 - was restored to its original stature by Jim and Betty Held in 1965. Since then, they have been joined by three of their children. The kids each have degrees in the sciences of winemaking and grape growing. In addition to Norton wines, Stone Hill also has a raft of wines made from heritage grapes like Vidal Blanc, Chardonel, Vignoles, Chambourcin, and Traminette. The winemaking team - David Johnson, Shaun Turnbull and Tavis Harris - produce award-winning wines. The fruit of their labor has garnered over 3,500 awards in the past 20 years. These wines were provided as samples by Stone Hill Winery for the purpose of this article. This estate-bottled Hermann wine is 100% Norton made from grapes grown in the Cross J and Kemperberg Vineyards. The wine has an alcohol level of only 13.8% and is aged twelve months in French, Hungarian and American oak barrels. This is the first of the three Stone Hill wines I sampled. The nose is very dark and earthy. Denise smelled it and said, “it smells like history.” I love that comment, but I’ll just say it smells “old world.” Dense blackberry aromas are blanketed with a layering of clove and maybe some nutmeg. It’s a very interesting nose, and a very different one for anyone who drinks mostly California wine. A huge herbal quality is present and becomes stronger as the wine opens. The taste has some grapiness to it, but the blackberry comes through very strongly. A cola angle surfaces at the finish - which seems to last forever, by the way. There is a tartness to the wine that makes me think of plums skins, but in a good way. A great acidity is present in the Stone Hill Norton. On the second night the bottle was open, the tannins were much softer and the tartness was not as pronounced. However, on the third night, the tartness seemed to return. The grapes for this estate wine are harvested from the vineyard which overlooks Jim and Betty Held’s home, up on a hilltop overlooking the Missouri River. This 100% single-vineyard varietal sees twelve months aging in French and European oak. The alcohol level is very moderate at 13.3%, and the wine retails for $25. This is the second of the Stone Hill trio I tasted. Again, the old-world aromas of blackberry and spice leap up past the heat, which is considerable upon opening. The wine is once more very dark, inky and black in appearance. It has a fine tannic structure with a cherry-meets-raspberry flavor profile, along with that tartness, too. After time to breathe, the wine opens up and its flavors become darker and more brambly on the second and third nights the bottle is open. This single vineyard effort had an aroma and taste reminiscent of Syrah - a little fruitier than the first wine. The acidity is fantastic. The winery says "short fermentation, brandy fortification and barrel aging" are the high points of this one. Stone Hill produced their first vintage of Port-style wine in 1990, and the line has garnered high ratings and rave reviews from national publications. The alcohol level is jacked up to a port-like 18.4% and it retails for $22 in a 500 ml bottle. This finale of the three samples from Stone Hill looks very dark at the core with purple edges. Once again, aromas of spices, remind me of Syrah, with that big blackberry nose muscling in. It’s rich and dark on the palate with a very strong sensibility of Portuguese grapes. This time around, the spiciness is tasted as well as smelled. The wine’s sweetness is counterbalanced by its acidity, which seems to be the calling card of the Norton grape. This Port-style wine is great for dessert, but I could also wash down a steak or pork chop with it. 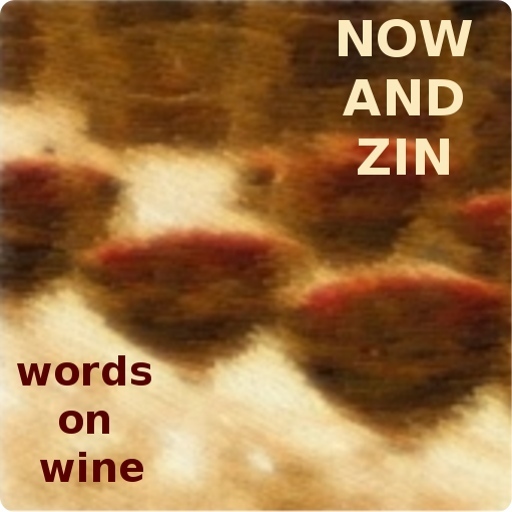 Soon I’ll relate my experiences with some Virginia Norton wines on the Now And Zin Wine Blog.